The pictures of this flower are a little ambiguous. 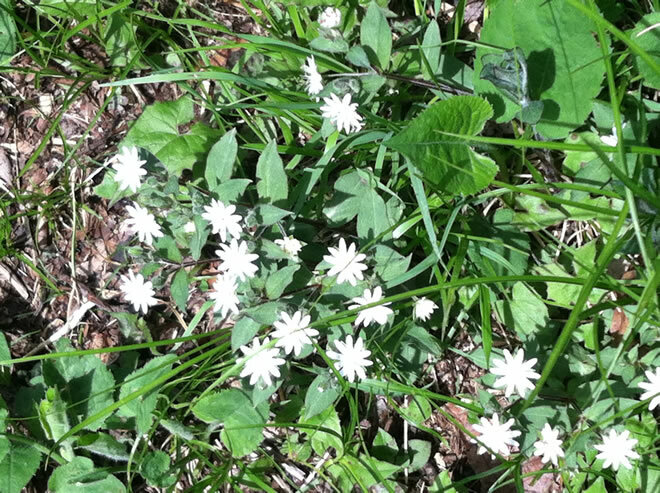 I think it is a star chickweed. White 5 petal starlike flowers about the size of a dime in clusters at the top of an erect stem and rising from the leaf axils. The petals are incised half their length or more so that the flower appears to have 10 petals. Plant height is 6-16″. It grows in rich woods and on rocky slopes from New Jersey south to Northern Florida.